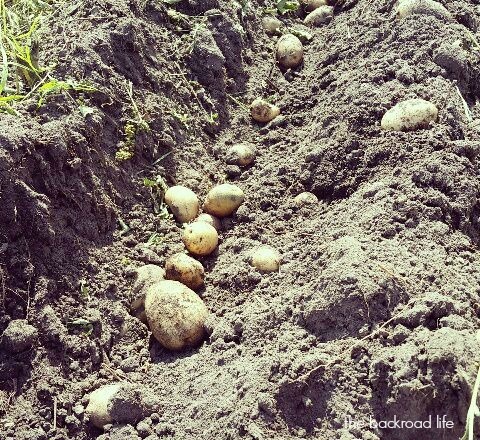 We always enjoy freshly dug potatoes from the garden and look forward for them to be ready! 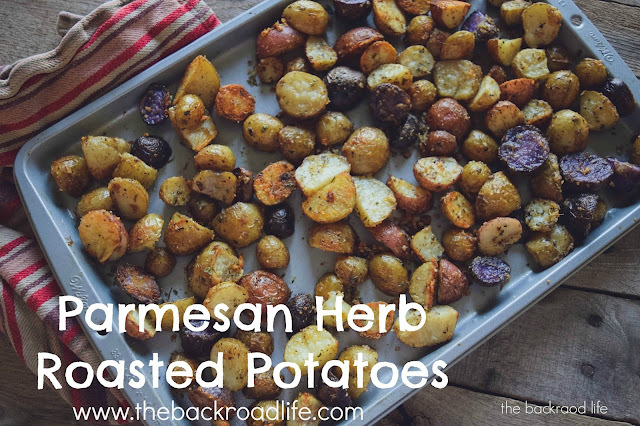 These Parmesan herb roasted potatoes are one of our favorite ways to fix the new potatoes and add to our meal. Every year we plant several hundred pounds of seed potatoes. We like to plant Yukon Gold, Kennebec, Irish Cobbler, Pontiac Red and All Blue potato varieties. We plant them in April and about mid June check, we like to dig some to check on size. A lot of our customers like the smaller fresh potatoes. 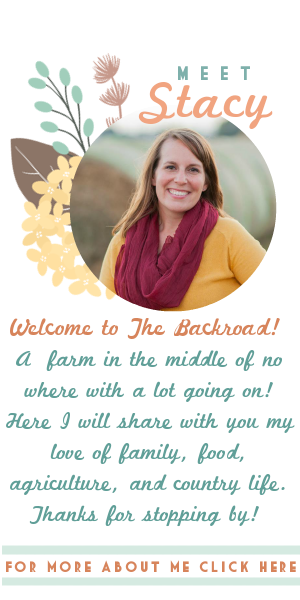 This past week, we dug a good amount and enjoyed them with our dinner. 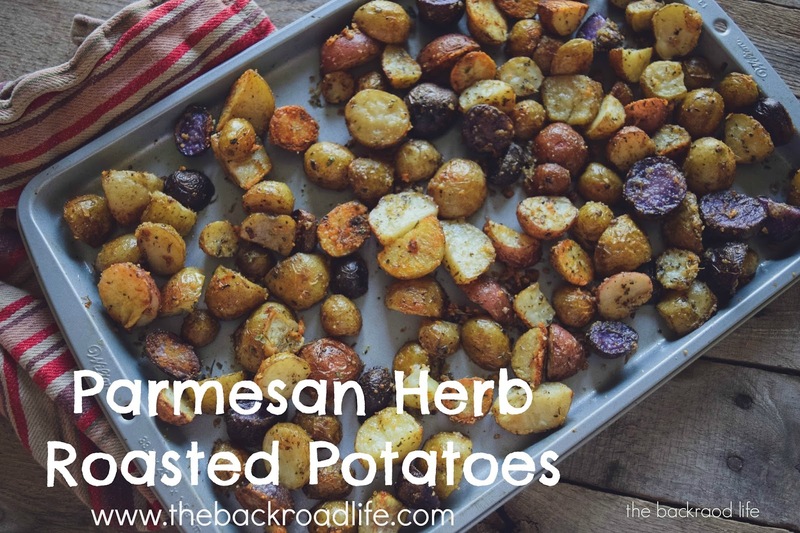 My farmer really likes to have potatoes with our meals and likes them prepared several ways, but this recipe of Parmesan herb roasted potatoes is one of his favorites. Clean potatoes and cut them into bite size pieces. 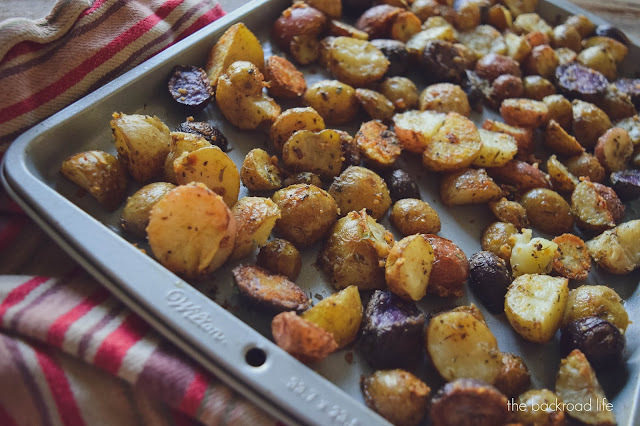 Place potato pieces in a mixing bowl and add the olive oil, garlic powder, thyme, oregano, basil, Parmesan cheese, and dried onion. Mix potatoes, oil, cheese, and herbs together to the potatoes are coated well. Place potatoes spaced out on a baking sheet. Bake at 400 degrees F for 25 to 30 minutes. Remove from oven and mix in the butter and sprinkle the potatoes with parsley before serving. We love eating from the garden and look forward to harvesting what we have grown. 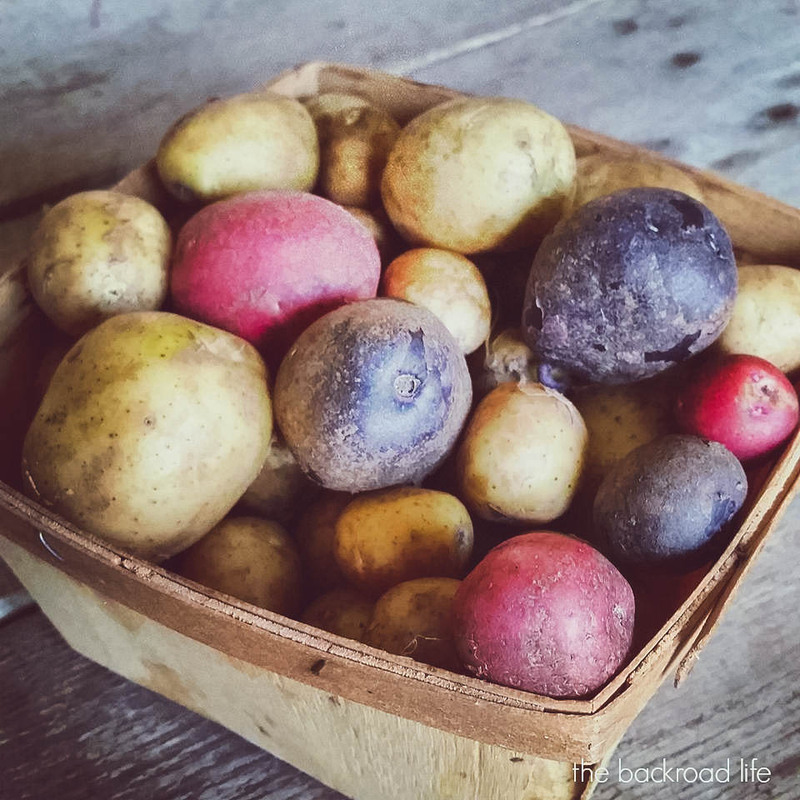 These potatoes are definitely a favorite among what we prepare from the vegetables we harvest.